If you have a pretty busy life balancing work, family, a relationship (and have those 3 week old bananas sitting on your counter totally attracting fruit flies), then this is a good recipe for you! 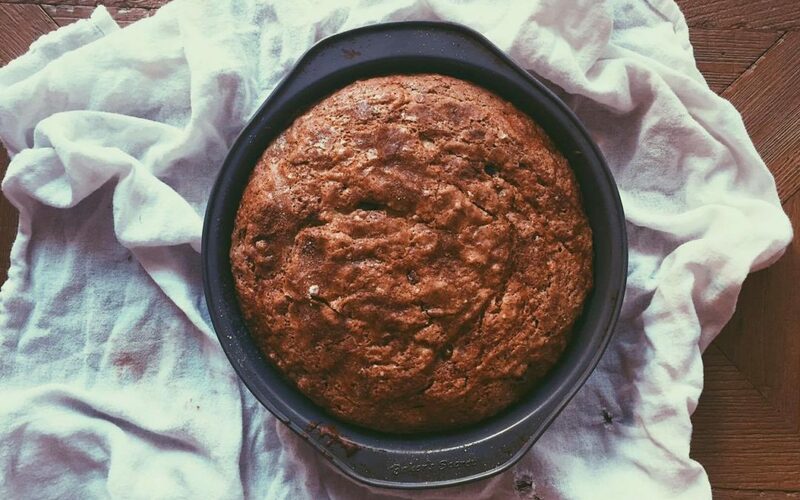 This is the best banana bread recipe I had made in a while! Its quick, doesn’t take a lot if crazy ingredients, and makes good use of those bananas way past their prime. Also dont forget to checkout other amazing recipe finds HERE! Step 1 – Peel all the bananas in a big bowl and mash together until smooth ( will have a few lumps but that good. Step 2 – Add into the same bowl the butter, baking soda, salt, sugar, egg, and vanilla extract. Mix all together until smooth. Step 5 – Spray your bread pan or use butter. Step 7 – Before you put your banana bread in the oven, I like to add sugar and cinnamon mix to the top! Adds a little pizazz to the flavor. Step 8 – Bake your banana bread for 55 minutes at 350 or until well done. Step 9 – Enjoy! And let me know how yours turned out!